"BEST OF SENSAY SOCA VOL TWO"
FOR INTERNATIONAL SHIPPING OUTSIDE THE USA. BEST OF SIFFLEUR MONTAGNE CHORALE is a Gold Classic album on CD for every household that cherish Caribbean folk music. 22 songs digitally remastered from two albums, it is a priceless addition to your collection of great Caribbean music. From Kashakoo to Merci Bon Dieu, Island Magic and Folk Expression were two albums released in 1971 and 1972 respectively by a Chorale group of talented folk singers in Dominica under the direction of the versatile composer Jean Lawrence Mathurin. one of the best WCK carnival albums ever produced Oh la!! Olay!! "Band Wagon Train", "Drum Song" and "Bouyon" are classics. ON TOP by WCK, the 2002 CD brings you on a "Joy Ride" with Soca Queen "TC", takes you in a Compa mood "A Ti Kai La" with Nadou and "Pas Pedli" and more bouyon,soca and dancehall tracks that will "Mashup-AAh". Caribbean Heartbeat by WCK is another explosive album released in 2001 by the Caribbean's #1 Bouyon Band.16 Songs include Bounce, Bockey,Water,Ckckck,Caribbean Heartbeat,Champion and G-string. WCK - VOLA VOLÉ includes the bouyon hits,"forever","champion girl","conch shell","coney island","culture free" and "fam cho". 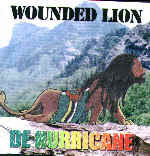 More Music by WCK is the 2003 Cd album by the Bouyon Music pioneer giants from Dominica. The 14 track Cd album includes More Music,Rhythm Coming,Gwo Booug featuring Greg Jules,Talk to You featuring Claudette and Da Bhann of Antigua and Cornell on keyboards,Send Your Body and Squady and a Bonus track. SONG MASTERS - LANGAGE KWÉYOL. THE VERY BEST OF ZOUK VOL2 -VARIOUS ARTISTES include classic zouk artistes such as Luc Leandry,Jeff joseph, Georges Decimus, Eustache, Deloumeaux and Sartana. Hits include "Carnaval", "If I say Yes" and "Crab La ". THE VERY BEST OF ZOUK VOL ONE CD is that and more from great artistes like KASSAV, JEFF JOSEPH,VOLT FACE,LUC LEANDRY,SARTANA,JEAN LUC ALGER,TAYLOR LICIDE AND OTHERS. SOCA LOLLIPOP by HUNTER is the fourth CD released by Dominica's 1998,2000 & 2007 Calypso Monarch. Among the hot tracks is the popular tune "ONE PEOPLE,ONE NATION" that helped him win the title in the year, 2000. THE HUNTER TAKES YU DANCING on this CD "TAKE YOU DANCING" with some hot tracks like "Ah Feeling to", "Jouvert BBQ","take Yu Dancing" and the ever popular song "ONLY YOU" featuring "MICHELE HENDERSON"
Brand New, Fresh and Enjoyable Music. Back off your shirt and dance!!! ROUGH UP DE SESSION was one of the original albums done by the FIRST SERENADE BAND. It includes some of the original bouyon classics done by the Serenade Band from Pointe Michel. GOOD DANCING MUSIC for all carnivals!! DE BOYZ AN DEM CD is a classic Caribbean CD with the energetic rhythms of the sixties combo era that set the pace for the seventies' cadence and soca era..From the pulsating tunes of Hugh Masakela's "Do Ray Me La So So" and Andre' Tanker's Lynna to Dominic Frontiere's Western' "Hang Em High" and The Meter's "Cissy Strut", the band exemplified the unique dance hall music that was played with a local latin-jazz-calypso beat. Raw Redeem has returned in 2004 with a classy CD, Old Skool Session, bringing back the original nostagic bouyon sound. Gaylords Power Union's Greatest Hits have long been overdue with some of the most powerful Caribbean Classics of Calypso, soul, pop, spouge and reggae. JULIE MOURILLON - JUMP UP PARTY. 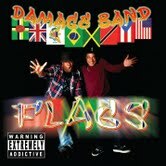 One of the most exciting soca albums released in 2008, this album will surely urge you to get up,jump up and dance. Hot tracks include "Jump up party"," Wild and steady", "Hold me closely","Soca Dancing",and "Get up and Dance"
LE POIDS LOURD (Heavy Weight) by LES AIGLONS is an update version of the great Cadence music of the 1970's. Hits like "Le Chaperon Blanc", "Fanm Cho" and "Dijonte" demonstrate the exciting Cadencelypso beat of the band from Martinique,reminiscing of EXILE ONE(THE REAL HEAVY WEIGHT CHAMPIONS) tradition. LE PETIT CHAPERON NOIR by LES AIGLONS contains the original Cadence(KaDANSE) sound of the seventies from one of the best Cadence bands from Martinique and Guadeloupe.Songs include "Le Chaperon Noir" and "Toute Ca Ki Passer Nous"
PASSIONATELY YOURS BY NORMAN LETANG is Norman's second solo album. This CD showcases the silky smoothness of the saxophonist, former Manager and Bandleader of Dominica's longest playing band, the "Swingin' Stars". The twelve tracks are "Nice and Easy". PHILLIP HORSFORD'S U2ME is the long awaited Cd of this marvellous interpreter with a great voice. He is smooth and sentimental and the first lead singer of any band in Dominica. The band was called "DE BOYZ AN DEM". Hot tracks on this Cd includes "Just the Way you are" and "Me and Mrs.Jones".Sale price ends Oct 29. GET THIS COPY BEFORE THANKSGIVING!!! JEFF JOSEPH of GRAMMACKS featuring the Hit "BOM KA PÉ TÉ"
JEFF JOSEPH of Grammacks CD,featuring the hit BOM KA PÉTÉ is a2005 CD released by one of the living legends of Cadence music. Once again Jeff Joseph electrifie us with great new hits among 14 tracks,like "TI PÉYÉ NOU LA", "BOM KA PÉTÉ", "I NI FAMM" and "Nou Ja Voyajé". Along with the mesmerizing Fitzroy Williams of Exile One on keyboards and the soothing bass of Freddy Nicholas of Bil-O-Men, Jeff keeps the Cadence alive even when he croons us with the "BeeGees" "To Love Somebody". Check it out. GRAMMACKS FOREVER BY GRAMMACKS -NEW GENERATION new CD features Jefferson Joseph, "Lion" and the Grammacks with the original classics and some new tunes including "Nou Ni Reason" and "Come to Dominica." IMPORTED FROM FRANCE. DIAMANTS DU CADENCE-LYPSO Vol One is a compilation of new cadence music song by artists who participated at a Cadence Mania concert held in Dominica recently in October 2005. Pawabol", by Cletus "Halibut" Abraham of Belles Combo was judged the winner.The other thirteen songs are also enjoyable. Jeff Joseph's Sa Ou Vle' is among them. Volume two is also available. TABOU COMBO SUPERSTARS VOL ONE CD brings you the original cadence and kompa hits from the popular band from Haiti, based in Brooklyn,New York and Miami, Florida. Hits include the World famous "BAISSEZ-BAS" and "New York City". TORIA's SECRET by the WIZARD is an amazing CD with hot selections that will keep you moving on the dance floor. Back off your shirt for this one. Tracks include hot zouk and soca numbers like "Those were the days","Victoria's secret" and the classic "Provocation" which helped Wizard won the 1990 Calypso Monarchy in Dominica while defending his 1989 title. MICHELE HENDERSON'S debut album CD released in 2000, has all the qualities of a bright and promising superstar. Michele was first featured on the premier releases of the World Creole Music Festival CDs in the late 90's. She has dueted with Calypsonian/Soca Star Hunter(Only You) on many occasions. SOUND CHECK by MICHELE HENDERSON is her third album CD. This rising star from Mabouche, Grandbay in Dominica reveals the potential that has catapulted her into an internationally acclaimed singer. The main track "Inspire'" and a revised "The Beat Goes On" among others demonstrates her skills on stage at the annual World Creole Music Festival and on stage overseas, especially in Europe. LOOKING FO GYNNA by SCRUNTER is a new album by DOMINICA'S SCRUNTER in 2006. This is calypso in it's true art form by the former Dominica Calypso Monarch of the early 1990's. The hot tracks include "a tribute to Daddy Friday" of St. Thomas Jam Band,"Douce Ma"., "Ah feeling to","Gimme Your Body and "Viente Cinco", a remake of the classic tune and "Arithmetics". This is definitely a collection item. MIND YOUR BUSINESS by PARTNERS IN KRYME is a must addition to your bouyon collection of Dominica music. It features one of the original bouyon programmers, Maurice Aisles and Efex's Peter Walsh who have given a grest deal to this album. Tracks include the original mix "Mind your Business". BIG BANDS OF THE CARIBBEAN- VARIOUS ARTISTES that include bands such as Tropical Islanders,Pal Joey Lewis Orhestra,Ron Berridge Orchestra,Sel Duncan Orchestra and others. The Long awaited NINTH ANNUAL WORLD CREOLE MUSIC FESTIVAL captured live in DOMINICA on DVD is a memorable event of THREE NIGHTS OF PULSATING RHYTHMS. Friday night features COOL SESSION BRASS OF THE VIRGIN ISLANDS,- BAN BIYO,- DJAKOUT MIZIK - AND W CK. Saturday night features TI-KABZY,- MICHELE HENDERSON,- LIQUID ICE and - KASSAV. Sunday night features TRIPPLE KAY - MONIQUE SECA,- PATRICK ST ELOI,- MIDNIGHT GROOVERS,- MACHEL MONTANO and XTATIK. 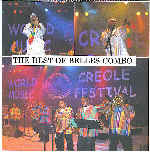 THE 7TH ANNUAL WORLD CREOLE MUSIC FESTIVAL 2003 captured LIVE on DVD IN DOMINICA. The bands include KASSAV,TABOU COMBO,SWINGIN STARS,GAYLORDS POWER UNION,DESTRA AND ATLANTIK,BURNING FLAMES,JEFF JOSEPH AND GRAMMACKS,MIDNIGHT GROOVERS,CARIMI,WCK,DE HUNTER,DADDY CHESS,ZEGLEN,ESCALE AND OTHERS. GREAT MUSIC AND SOLID PHOTOGRAPHY. DESTRA, ONIKA,BURNING FLAMES,KASSAV,HUNTER AND BREAKER ARE GREAT! !Good For All Festivals!! DVD-LIVE IN PARIS by T-VICE,CARIMI AND TABOU COMBO, three of the best kompa and cadence bands from Haiti is a must see for all Creole, Kreyol or Kweyol fans alike. Le concert des 200 ans D'Independance D'Haiti, (a celebration of Haiti's 200 years Independence from France) help to focus on the first Black Republic of the Western Hemisphere. Very good Sound and Audio/Visual effects from the Zenith Centre in Paris. DOMINICA CALYPSO SHOWDOWN 2009 . Include tracks by Karessah,Scrunter,Son of Saint,Little Sammy, Picky,Bople',SYE,Soul Puss, Observer and others. Former Calypso Kings,Daddy Chess(Forward) and Scrunter(Bigman ting) lead a cast of veteran calypsonians in the 2008 Stardom Calypso Tent's CD. MWEN INME'W,(or spelled as Mwen Aimè ou),Krèyol(Creole) for "I love You", is the fourth CD album released by MICHELE HENDERSON. The title song among others are just sensationally rendered by Dominica's new female Superstar,Michele who has been following the footsteps of acclaimed Superstar, Ophelia. DOMINICA CALYPSO 2008 SHOWDOWN -THE HAMMER CD includes the current Calypso King Dice who had also won in 2004,2005 and 2006. The two songs "On My Own " and "Roll The Dice" prove that Dice "Again" is truly the hope for future calypsonians in Dominica. 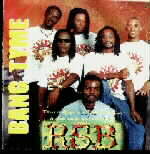 IMPROMPTU BAND - AH WE DO DAT is the debut album of one of the hottest new bands from Dominica today,ImprompU Band. The Queen of Cadence and Cadencelypso music, OPHELIA returns with an energizing and mesmerizing CD album, "HYPNOTIQUE" .Favorites by SENSAY includes "Hypnotque","Au Fond Sommeil","Marché Con Antillais","Dingolé"(originally done by Shadow) and "Nous Bien Heureux". 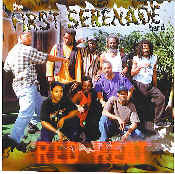 DE REAL DEAL BY THE RED HOT FLAMES is a red hot album that unleashes real fury on the scene for CARNIVAL 2006 in Antigua. Hot tracks include "De Real Deal","Quad Ride", "Encendiendo Engine", a revised version of Swingin Engine in Spanish and English and "Until We Meet Again"(a tribute to JAM BAND'S "Daddy Friday). SOCA 101 VOLUME 4 CD brings you a compilation of gold classics like Second IMG's "Golo", Kassav's "Zouk la Se Sel" and Burning Flames' "Workey Workey"
DOMINICA CALYPSO MONARCH FINALS 2006 captured live on DVD.This Calypso competition was a very tight and close contest that exhibited some of the greatest calypso talent in the Caribbean today. The Dice emerged the winner with two classic songs, "These Are The Days" and "I ain Fraid of Them". Lady Tarina placed second,while The Hunter came in Third. TRIPLE KAY'S ALL OUT is the new 2006 CD for Dominica' 2005 and 2006 Band of the Year. Hot tracks like "Someone","Big Up","Real Mas", "Clash of the Bands", "One Night Stand " and "Stick It" will keep you in the Real Bouyon mood. "The Track "Human Nature" is a good take on the Michael Jackson classic. "More Dust" will keep you on the dance floor for a long time. FIRST SERENADE BAND's "BODY WORK" CD is the 2007 release from the unstoppable Bouyon band of "La Pointe",Point Michel. This CD has a great selection of music that you will enjoy for this Summer and always. Caribbean Boogie is PATO's latest CD that will keep you in the Spirit of Carnival with boogie down rhythms. 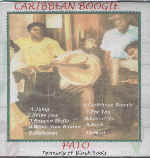 HOUSE OF KAIZO-2007 DOMINICA CALYPSO CD is the second 2007 Dominica Compilation of Calypso. This CD features the new Calypso Monarch Hunter along with former Kings, Daddy Chess,Observer and Scrunter. SOCA HIJACK by HUNTER demonstrates the versatility of Dominica's Soca and Calypso monarch. LAS LAP,LAS SONG CD is A 2007 CALYPSO MAS CAMP showdown for Dominica 2007 Carnival well composed by veteran "Musician" Pat Aaron.Tunes like Dice's "Follow Your Leader",Dollar Man by Vigilante and "Gallon Bottle Model" by "Son of Saint" are among the top calypsos for the REAL MAS 2007. MASS QUAKE 2005 -THE BIG ONE FOR 2005 by VARIOUS ARTISTS showcases the talents of young Dominica Calypsonians from the Showdown Mass Camp. 2004 Calypso Monarch Dice returns with a masterful piece of Calypso as he delivers the "Puppet Master" in colorful imagery. He is matched with newcomer "The Saint's "Wrong Foot" that seems to be a Road March contender.Other hot tracks are provided by De Observer, Bople, DeBobb and Sye. Triple Kay's SEWO blends the typical bouyon and cadence music from Dominica with the Haitian Konpa music. Hot tracks include "Sewo", "Soca Me","Festivity", "Sa fe Mweh Mal" and "Last Dust". SLIDE BY IMPROMPT U BANDis the new 2006 album released in time for CARNIVAL 2006. This album is sizzlingly hot and gets hotter as you go through the tracks.The heavy tracks include one with former Calypso Monarch Hunter(Shake Yu Body & Wine), and a soca medley that includes classics like Arrow's "Hot Hot Hot" and Explainer's "Lorraine". BANNED-SHOWDOWN MAS CAMP 2006 is Dominica's Real Mas Calypso album for 2006.Featuring 3 time consecutive Calypso Monarch winner, THE DICE" (I ain fraid of dem), this album exemplifies the magniicent lyrical compostions by veteran calypso writer, Pat Aaron. Other hot tracks are "Real Pirates" by Bople, "These are the Days" by Dice,"King Spider" by "Sye"
"Calypso on High" "is a masterful compilation of thought provoking and profound calypsos from Dominica's 2004 Carnival",writes renowned cricketer and commentator,Attorney at Law Ossie Lewis. I AM YOURS by DARYL BOBB is the debut album by the versatile Dominica musician who has been recognized every Christmas as the voice of the Ruff and Reddy Band. Daryl starts off swinging with a catchy soca tune "I am Yours". The other 13 hot tracks, includes a calypso"Take One Day at a time" composed by Pat Aaron and a catchy slow rhythm "Just Be". Daryl who is also Calypsonian Bobb, plays lead guitar and composed all the other tunes. 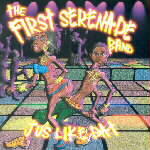 DE WATER COMING CD by THE FIRST SERENADE BAND originally released and launched before EASTER 2005 will rock you in much more bouyon and soca style than in previous years. New female vocalists Marsha Anthony and Rhamadine Prince join Lloyd Jno Baptiste in hot tracks like "Me Water Coming","Flags", "Thunder Clap","Romancing" and a new "Serenade Medley". Add this one to your Serenade Collection.